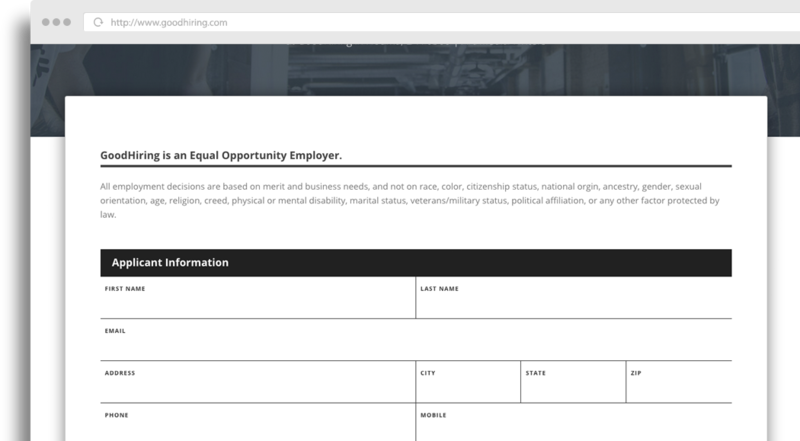 GoodHiring is an easy-to-use platorm that can help your company connect with job seekers. 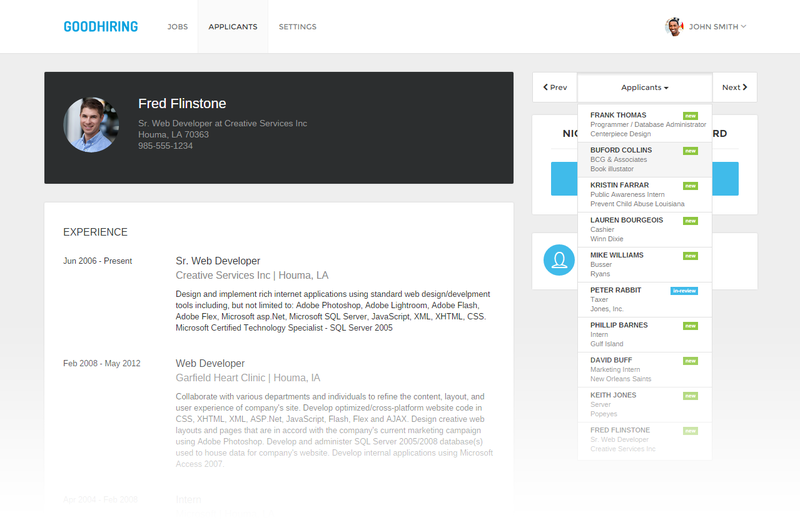 Collect electronic job applications and resumes using your already existing website. 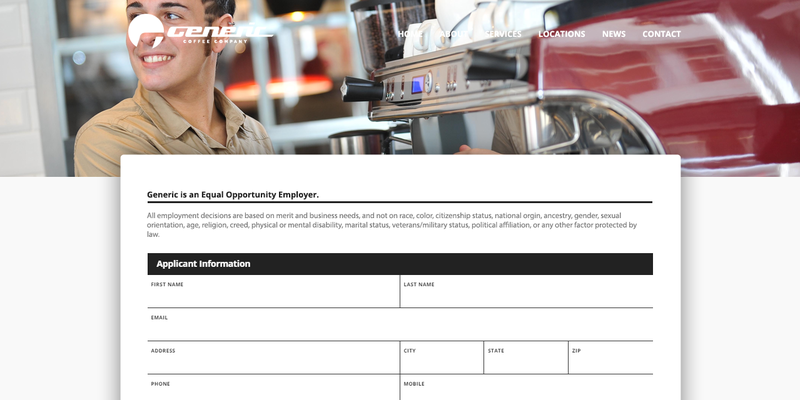 Impress active and passive applicants with a fully responsive, seamless career page, that integrates into your existing website. Add job openings to your website within minutes. Applicants can apply for jobs, forward jobs to friends and share jobs on social networks. 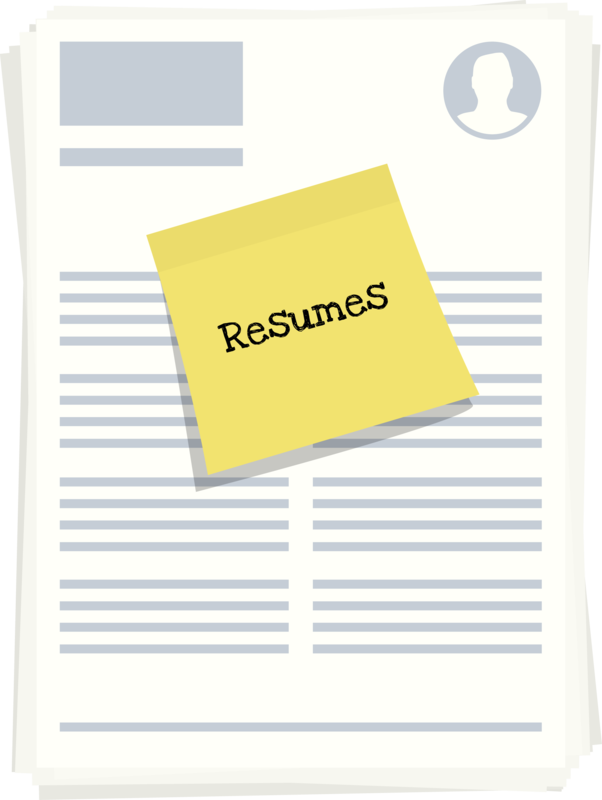 Each application and resume received through your GoodHiring career website is securely stored in a private, searchable database. Instead of searching a stack of paper resumes, simply enter the skill you’re looking for and receive a list of warm candidates who suit your needs. 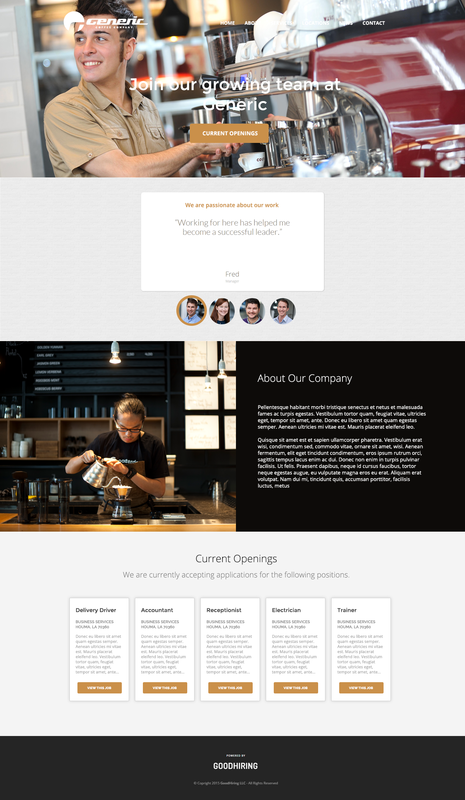 Your GoodHiring career website integrates seamlessly into your existing website. Engage potential applicants with testimonials, company benefits, and photos that show why your company is the right career choice. And via our partnership with SimplyHired™, posting jobs to your career website means reaching millions of potential jobseekers. Engage job seekers and accept job applications and resumes online. Advertise your job openings on SimplyHired.com at no additional charge. Add as many job openings as your company requires. We won't limit you. Give access to any and every user in your organization who needs it.